— a simple 1-to-1 video calling app available for Android and iOS. Duo takes the complexity out of video calling, so that you can be together in the moment wherever you are. Give your friends a wave with Duo! We’re roll out Duo for Android and iOS today across Australia. , a paid membership that makes allows you to enjoy ad-free videos across all of YouTube. You can also save videos to watch offline and play videos in the background of your phone or tablet. Since then we’ve heard from families that they’d love the option of these features in the YouTube Kids app too. So today we’re excited to say it’s finally here: the YouTube Kids app now works with YouTube Red in Australia! Offline videos: In the car or on grandma’s sofa—always have videos when you need ‘em, even if you don’t have a connection. To get started, all parents need is the YouTube Kids app and a YouTube Red membership. Then, just sign in to your YouTube Red account from the parental controls section of the YouTube Kids app and follow a few simple steps. Once that’s done, your little one’s ready to sing along with Bounce Patrol or bake something yummy with Charli’s Crafty Kitchen. And we’ve got even more updates to YouTube Kids the way. Over the next few months we’ll be making some changes to the app that’ll give parents more choice on how to customise the content that appears or doesn’t appear in their YouTube Kids experience. Until then, we hope you and the family enjoy YouTube Kids with YouTube Red benefits in Australia and New Zealand. If you haven't already, take YouTube Red for a spin with this free 30-day trial. Back in May we launched YouTube Red, a paid membership that makes allows you to enjoy ad-free videos across all of YouTube. You can also save videos to watch offline and play videos in the background of your phone or tablet. Since then we’ve heard from families that they’d love the option of these features in the YouTube Kids app too. So today we’re excited to say it’s finally here: the YouTube Kids app now works with YouTube Red in Australia! What’s the value of a shortcut? 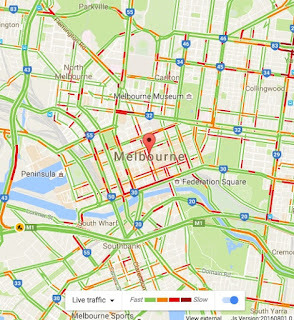 A Google Map of Melbourne with traffic data. 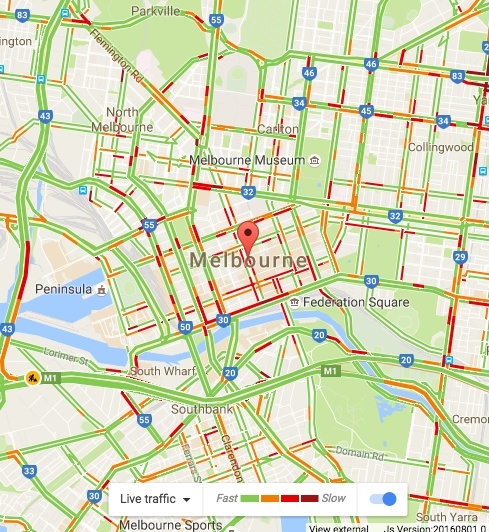 The next time the map on your smartphone suggests you take a different route to avoid a traffic jam, saving you five minutes of travel, it's unlikely that you'll spend much time thinking about the economic impact of what just happened. However, when you consider that these kinds of savings are being made by Aussies everyday, it's clear that free digital tools like Google Maps are having an economic benefit. So we asked experts at AlphaBeta to look into the economic contribution of free digital tools like Google Maps to Australia and the numbers they came back with are striking. Australians saved approximately 13.5 hours each on the road in 2015 — that’s more than half a day less of driving in circles! This reduced time on the road amounts to around half a billion dollars in annual savings at the petrol pump. Which is not just good news for the hip pocket, it’s good for the environment too, as it’s the equivalent of removing 125,000 cars from Australian roads. It’s not just drivers who benefit either. 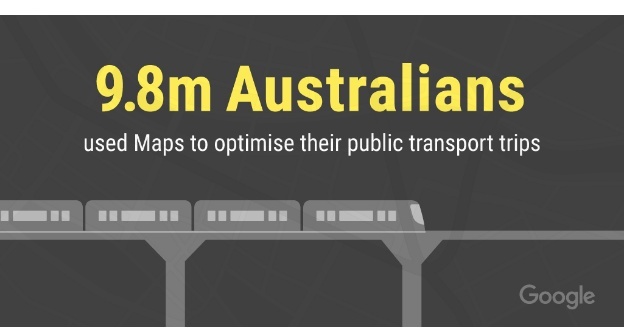 By helping people plan their public transport journeys, Google Maps saved 9.8 million Australians 13 hours each over the course of a year. That’s 46,800 seconds not on the bus. 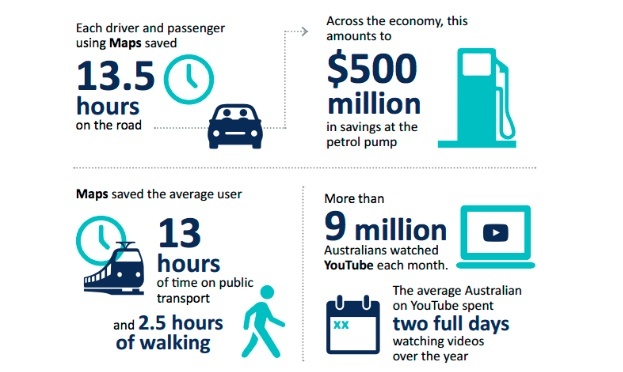 And the 5 million Aussies that use Maps for walking saved about 2.5 hours. That’s a big contribution for something that was created in the second bedroom of a Hunters Hill house 12 years ago. Noel Gordon, co-founder of Google Maps, said the team that created Google Maps all those years ago dreamed of the potential benefits it would create, looking down the long road ahead. Google Maps now has more than a billion users worldwide, is free of charge and allows you to quickly pinpoint the places and information you need, whether it's how many minutes until the next bus arrives, or how long it will take to walk or bike from work to home. Globally, about a fifth of all Google searches - and a third of those from mobile phones - are location-related. In Australia people use Google Maps to find the best route and quickly locate a new destination, such as a friend’s house, restaurant, or national park. And Google Maps helps make that trip as hassle-free as possible by picking the quickest public transport route or the best driving route based on traffic conditions. That means less time on the road, less time on the train platform. These savings have economic benefits and they also have a big social impact - we all know the difference getting home from work 15 minutes earlier can make to your leisure and family time. Chances are you’re already using Google Maps to get to that meeting or to plan your trip home - and we’re constantly improving it, recently adding an Australian voice to directions and (finally!) giving Melbournians some public transport directions. So the benefits of Maps might not be news to you, but their value to the economy might come as a surprise. You can read the full report from AlphaBeta here. Well, for a start it gets you to where you’re going sooner. You might arrive to work earlier, spend less time sitting in traffic, or get home earlier and have more time with your family. It might even give you just enough time to pick up a coffee from your cafe. if the content doesn't load quickly—which is bad not just for people trying to get what they want online, but for the publishers who want those readers to enjoy the content they've created for them. That's why, last October, we joined others across the industry on the Accelerated Mobile Pages Project (AMP for short), an open source initiative to make the mobile web as fast as possible. 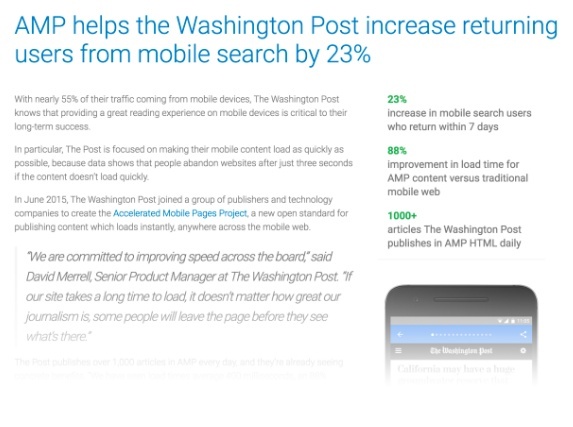 AMP enables a fast reading experience on Google search and Google Play as well as thousands of other sites from social and travel to food, and from retail to sport, making it easy for people to get to the latest news quickly and to read more in the limited time they have. In less than six months Google has enabled AMP across a number of products from top stories in search to Google News and NewsStand. The data we are seeing is encouraging with pages on average loading 4 x faster and using 10x less data than non AMP pages. 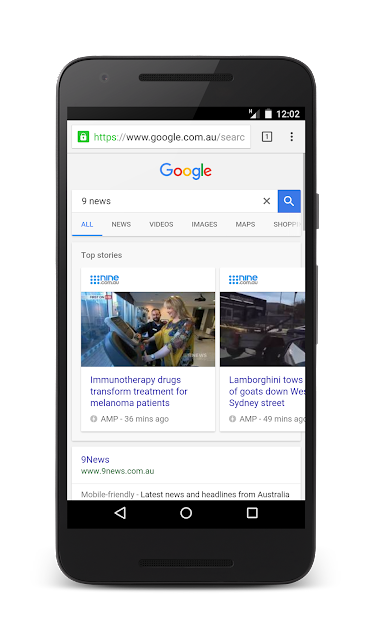 Now we are bringing that same fast reading experience to users here in Australia on our top stories section in search with some of the country's biggest publishers leveraging the power of AMP, including News Corporation, Fairfax Media, Nine Digital and Fox Sports. Readers looking for updates on Aussie athletes at the Rio Olympics or the latest on the US election will get their stories blazingly fast on mobile devices. The objectives of the AMP Project team aren’t just about improving a user’s engagement with content. We know the experience people have with ads is equally important to help publishers fund the great content we all love to read. That's why we are introducing AMP for Ads to bring together everything that is good and fast about AMP to advertising. You can read more about that effort on the AMP Project blog. Access to information is at the heart of Google’s mission. Unfortunately, today, parts of the mobile web aren’t living up to the expectations people have for getting the information they need, particularly when it comes to speed. In fact, data shows that people abandon websites after just three seconds if the content doesn't load quickly—which is bad not just for people trying to get what they want online, but for the publishers who want those readers to enjoy the content they've created for them. event in Melbourne. There they discussed ideas from machine learning and data security to cloud technology, with the Google enterprise leadership team. Attendees were keen to hear how our Cloud Platform, which takes advantage of Google’s deep networking and machine learning expertise to provide services for application development, data analysis and computing, could help their business. Guests enjoyed a demonstration of a robot powered by the Cloud Platform Vision API, which correctly identified a human smile and everyday objects, and discussed how this technology could be applied to industries like manufacturing, retail and beyond. We also heard from Silicon-Valley author, entrepreneur and evangelist Guy Kawasaki, who spoke about the ‘Art of Enterprise Innovation’ - urging businesses to take risks and try new things. Financial accounting firm Xero, along with Salmat and Visy Business Solutions, shared their IT insights and the impact Google’s services have had on their businesses. Xero reflected on the gains in productivity and openness their business, spread across 17 global offices, experienced after moving to Google Apps. Tasks that had been time consuming – like emailing a document around for edits – now take just seconds. Teams around the world can easily open a document from Google Drive and collaborate on docs and spreadsheets in real time. Leaders from various sectors and industries shared their experience of using technology to improve efficiency, modernise decision-making and keep their organisation’s data secure. This was a great opportunity to learn from our customers and IT leaders and we look forward to supporting businesses on their digital journey. Thank you to everyone who joined us in Melbourne and if you missed the event you can learn more now about Google Apps for Work. Last week, business and IT leaders came together to talk digital transformation and building for the future at the Google Atmosphere event in Melbourne. There they discussed ideas from machine learning and data security to cloud technology, with the Google enterprise leadership team.